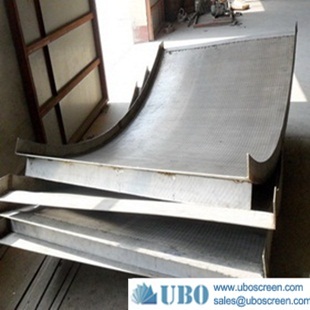 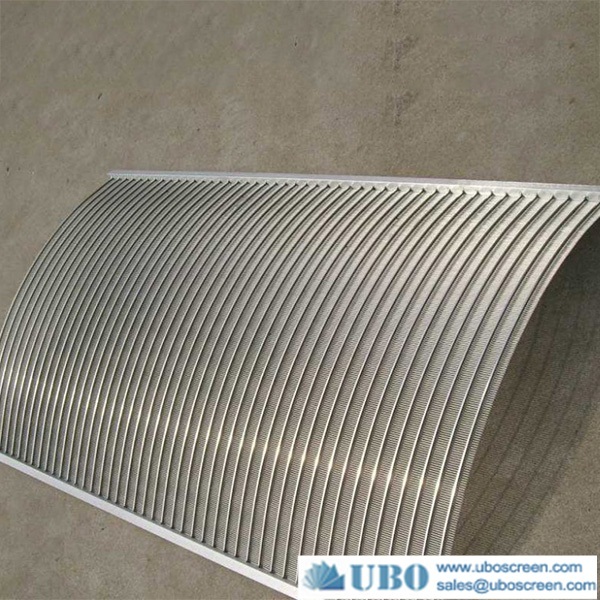 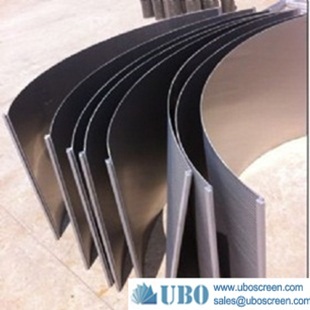 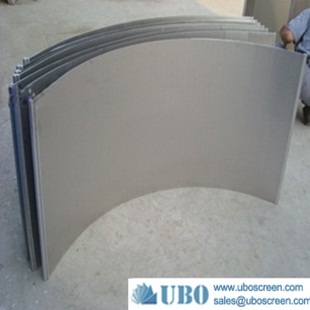 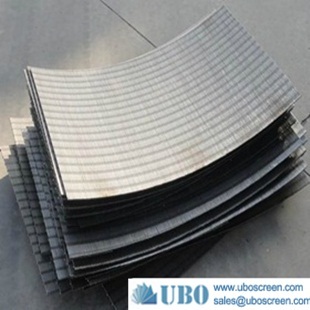 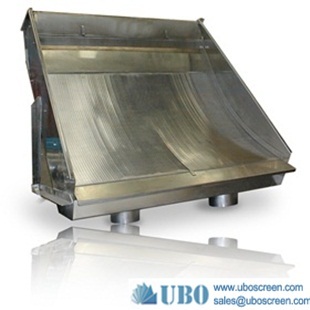 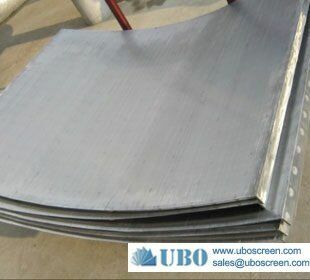 SS vibrating sieve screen plates are made of stainless steel wedge wires. 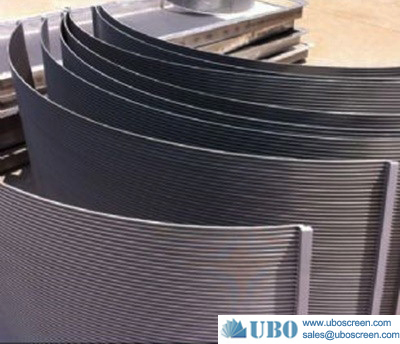 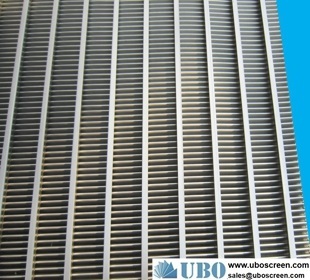 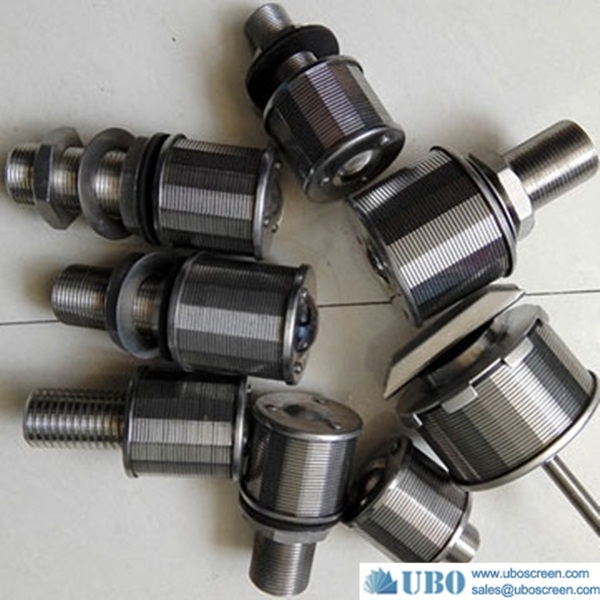 They are consist of a concave curved profile wire screen, which are inserted into a stainless steel frame. 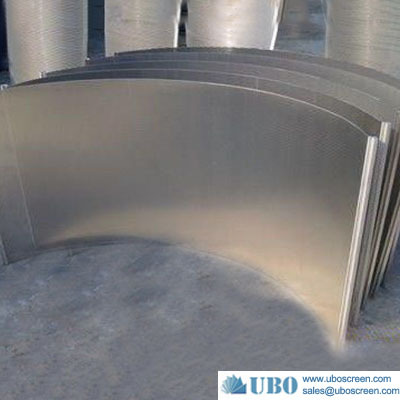 The wedge wire sieve bends are manufactured by wrapping and welding stainless steel V-shaped profile wire and support rods. 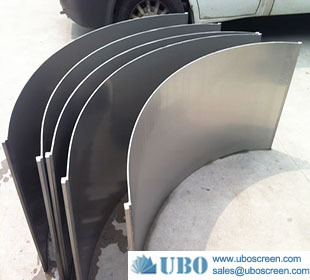 Then the panel screens are cutting and curved into arc screen. 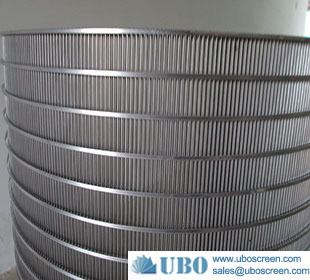 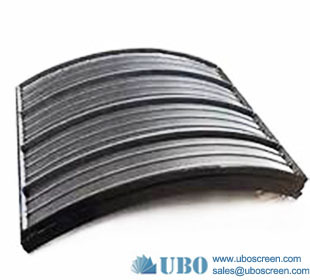 The wedge wire sieve bends have continuous slots, which has efficient filtering performance. 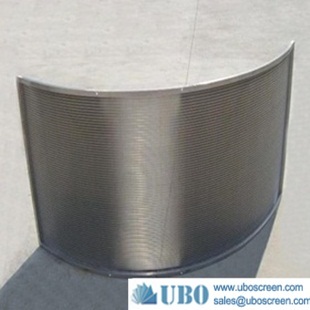 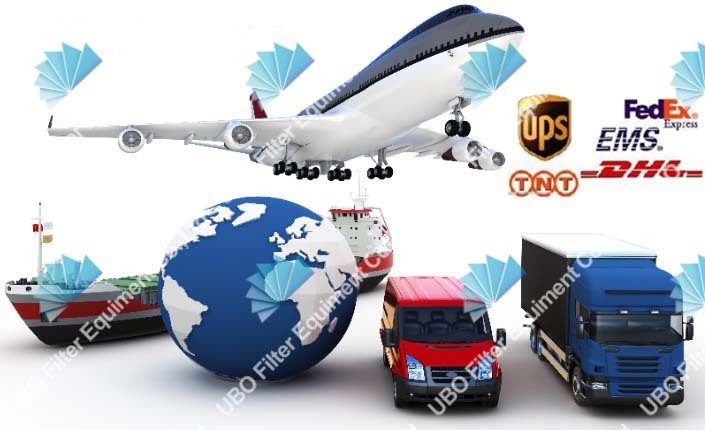 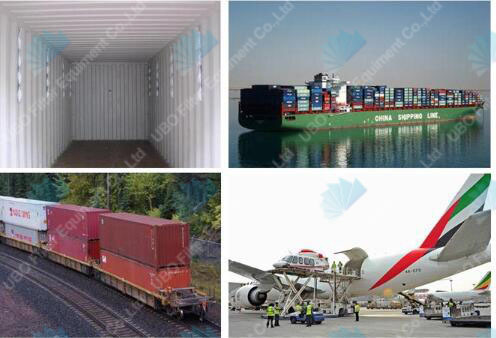 Forces exerted as materials flows against the curved surface, curved screen structure has better filtering and greater capacity than the wedge wire screen panel.